The BLS works to promote the study and conservation of lichens and their habitats and welcomes all who are interested, from beginner to expert. A collation of the available lichen records for sites (excluding churches and graveyards) in England from 1650 to January 2017, for purposes of conservation, future monitoring and research. Habitat and substrate information is included where available. A collation of the available lichen records for churches, graveyards and burial grounds in England from 1650 to January 2017, for purposes of conservation, future monitoring and research. Habitat and substrate information is included where available. A collation of the available lichen records for sites in Scotland from 1700 to January 2017, for purposes of conservation, future monitoring and research. Habitat and substrate information is included where available. A collation of the available lichen records for sites in Wales (excluding churches and graveyards) from 1650 to January 2017, for purposes of conservation, future monitoring and research. Habitat and substrate information is included where available. A collation of the available lichen records for churches, graveyards and burial grounds in Wales from 1700 to January 2017, for purposes of conservation, future monitoring and research. Habitat and substrate information is included where available. Lichen distribution data at 10km square level, distinguishing records from before and since 1960. 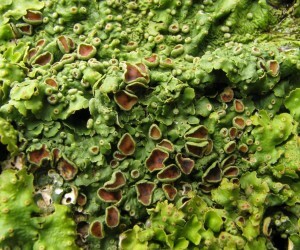 A collation of the available records for rare and threatened lichens and lichenicolous fungi in England from 1700 to 2011, for purposes of conservation, future monitoring and research. Habitat and substrate information is included where available. Species are included if they are nationally rare or scarce, or have a conservation status other than least concern, data deficient or not evaluated. A collation of the available records for rare and threatened lichens and lichenicolous fungi in Wales from 1700 to 2012, for purposes of conservation, future monitoring and research. Habitat and substrate information is included where available. Species are included if they are nationally rare or scarce, or have a conservation status other than least concern, data deficient or not evaluated.